Autism has become a front-and-center news topic, not least because of controversy surrounding a possible relationship to infant vaccination. We are pleased to have Dr. Paul Offit of the Children’s Hospital of Philadelphia, to address this issue. In 1998 a paper published in the British medical journal, Lancet, claimed that the combination MMR vaccine caused autism. The author claimed that measles vaccine given in combination with mumps and rubella vaccines damaged intestinal epithelial cells, allowed entrance of encephalopathic proteins, and eventually damaged the central nervous system, causing autism. Since that original publication, twelve separate studies have examined the incidence of autism in children who did or did not receive the MMR vaccine—all with the same result; MMR didn’t cause autism. More recently, the use of an increasing number of thimerosal containing vaccines has led to the fear that the mercury containing preservative caused neurodevelopmental damage, including autism. Six separate studies have now examined this relationship, again showing no association between vaccines and autism. Dr. Offit will discuss strategies and challenges for communicating this information to the public. In addition to his positions at the Children’s Hospital, Dr. Offit is Professor of Pediatrics at the University of Pennsylvania School of Medicine. He is the recipient of many awards and has published more than 130 papers in medical and scientific journals in the areas of rotavirus-specific immune responses and vaccine safety. He is also the co-inventor of the rotavirus vaccine RotaTeq, recommended for universal use in infants by the Centers for Disease Control and Prevention, for which he has received many accolades. 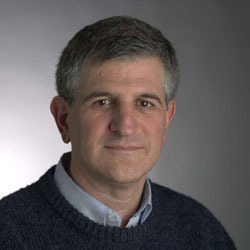 Dr. Offit was a member of the Advisory Committee on Immunization Practices to the Centers for Disease Control and Prevention, and a founding advisory board member of the Autism Science Foundation. He is the author of five books on autism and antibiotics, including the recent Autism’s False Prophets: Bad Science, Risky Medicine, and the Search for a Cure.